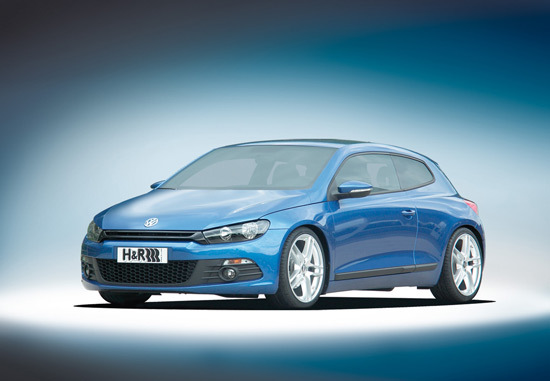 After 16 years, the Scirocco has returned to the VW model range. A tradition that H&R is also glad to revive. 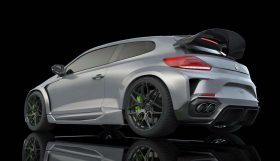 And so the company from Lennestadt offers several chassis components for the relaunch of the Wolfsburg coupé. 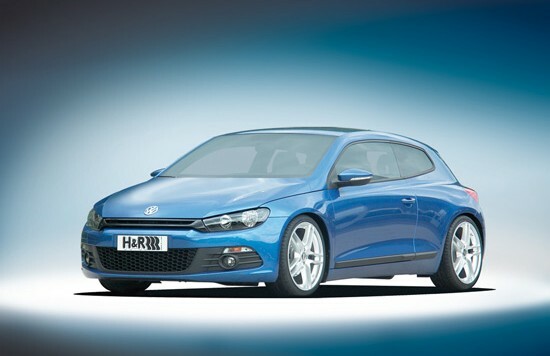 The sports spring suspension kit lowers the vehicle by 35 mm, making the Scirocco not only more attractive to look at but also more dynamic in performance – without any noticeable loss of comfort. The spring suspension kit has been designed for use in vehicles with and without DCC (electronic chassis control). 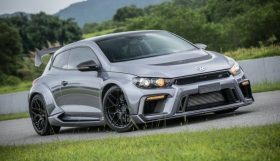 Even more performance is possible with the H&R coilover suspension. Steering commands are implemented precisely; rolling and pitching movements are minimized. The system’s adjusting possibilities permit perfect adaptation of the vehicle wheel loads to the corresponding demands. And all within the range of the TUV-tested values, naturally. Highlights can also be set with the H&R TRAK+ wheel spacers made of a high-strength aluminium alloy, combined with either standard or tuning wheels. This helps to enhance the appearance of the usually unattractive gap between the tyre shoulder and the edge of the mudguard. The comprehensive H&R range for more than 1,200 different vehicle types is available from well equipped stockists, and always offers General Vehicle Certification (ABE) or a TUV parts certificate.